Epiphany (GNOME Web), like most GNOME applications, will be getting a new design, similar to that of GNOME Documents, Music and so on which you've seen in our previous GNOME apps mockups post (with no titlebar for maximized windows and no menu inside the main window). 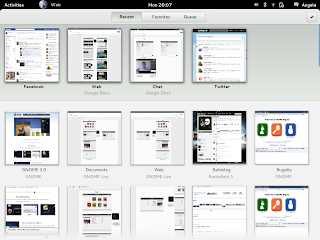 According to its GNOME Design page, among the primary objectives are to provide inter page navigation and to focus on the current page content (removing as much chrome as possible). 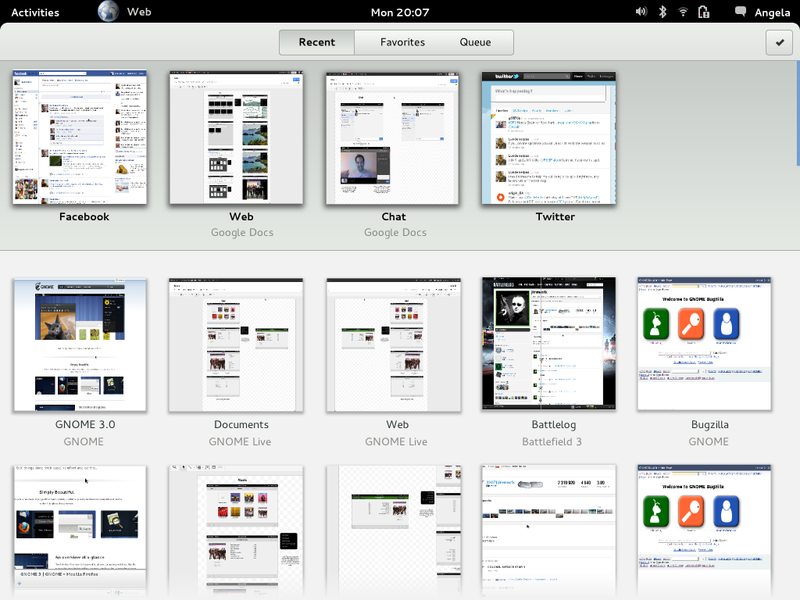 The new "GNOME Web" will also bring a feature that I for one will definitely use a lot, called "queues". Queues will allow you to save a page for later reading and for instance, when you open links in a Google Search results page using middle click, "a new queue could be automatically created with the results page as the parent and all the links you open as items in the queue". Unfortunately that's about all the info regarding "queues" for now. The mighty Igalians (namely Claudio and myself) are already busy at work implementing the new design. For now we are focusing on a series of incremental patches that will move us closer to the end goal, that way we’ll have something usable even if the design or the full implementation of the Web application are not ready in time for 3.4. Thanks to Pedro Inácio for the tip!